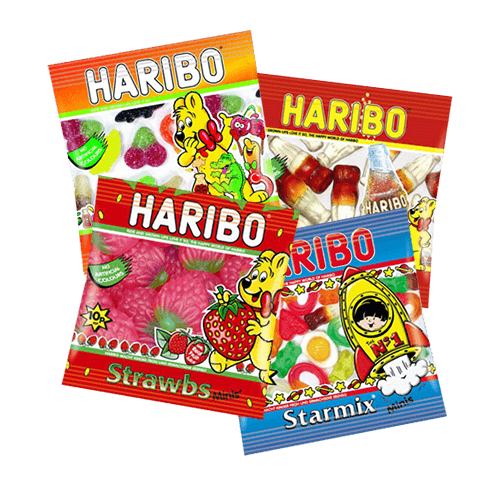 Making great treats for kids Haribo's famous mini-bags are bursting with flavour and contain some of the brands most loved confectionery treats. Place your order before 12 noon and in most cases your products will be delivered the next working day. Call us on 01254 306840 if you require assistance.